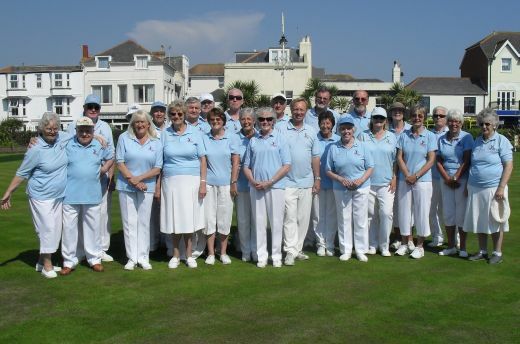 Welcome to the bowls section of the R.A.F.A 381 Club. We are lucky enough to play on greens almost adjacent to Bognor Regis pier and its lovely surrounding beaches. Our members take part in both club competitions and matches against other participating clubs both local and further afield. The greens have a pavilion housing changing rooms and locker facilities and being a local council amenity also have a permanent steward. 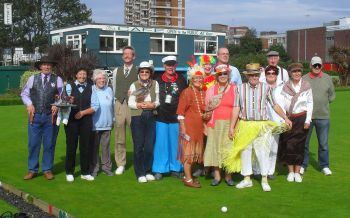 We are also able to take advantage of the many forms of entertainment that the R.A.F.A.381 Club itself organise all year round not just during the bowls season. Whilst we all try to win every game we are not all up to county standards!! but we all do thoroughly enjoy ourselves. Why not come down to the green or the club and join us. Our season this year is very mixed, with the usual club friendlies against neighbouring clubs and some as far as Liphook, Hindhead and Stedham. These games are always a pleasure to take part in. We try to share car trips so that we all arrive safely and hopeful on time and our opponents always make sure we have a good game. Please help us with our commitment to support the RAFA Wings Appeal by joining in our Jim Lorimer Cup day. A competition open to every local club with proceeds going towards our yearly contribution to our Armed Forces in conjunction with all the fund raising that goes on in the 381 Club, road collections and at Good-Wood Races. These young men and women deserve all our support for what they are doing on behalf of our country. 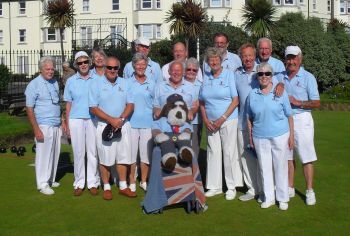 We start our week by meeting up on a Tuesday morning at 10.15am for our friendly Tuesday Triples which we try to start at 10.30am . Start times do vary according to how the organisation of teams is conducted but as its a very friendly morning no one seems to mind too much and finish around 12.30. This is a competition and scorecards are kept with points being awarded to players. Running totals are posted weekly on the notice board in the pavilion and a winner announced at the end of the season. You might be eligible for a prize if you are lucky.